Whether you graduated years ago or just last year, we would love to see you! Join us for engaging presentations by our Wildcat Nurse faculty, who are coming together to build the future. One way that the UA College of Nursing is building the future is our dedication to integrative nursing and developing education structures around whole-person wellness. To learn more about our initiatives, we invite the community to attend a presentation entitled, “Integrative Nursing Faculty Fellowship: BSN Curriculum Transformation." Celebrate Homecoming with fellow Wildcat Nurses, family and friends and enjoy a fun evening of delicious hors d’oeuvres, wine, beer and live music. Reconnect with classmates and colleagues from other health sciences colleges. Rejuvenate your Wildcat spirit. BEAR DOWN! Celebrate our College’s 61st anniversary with your classmates, meet Marla J. Weston, PhD, RN, FAAN, our Alumna of the year and recognize awardees and salute the 50th anniversary class of 1968! NOTE: No part of the registration fee is a tax-deductible donation. 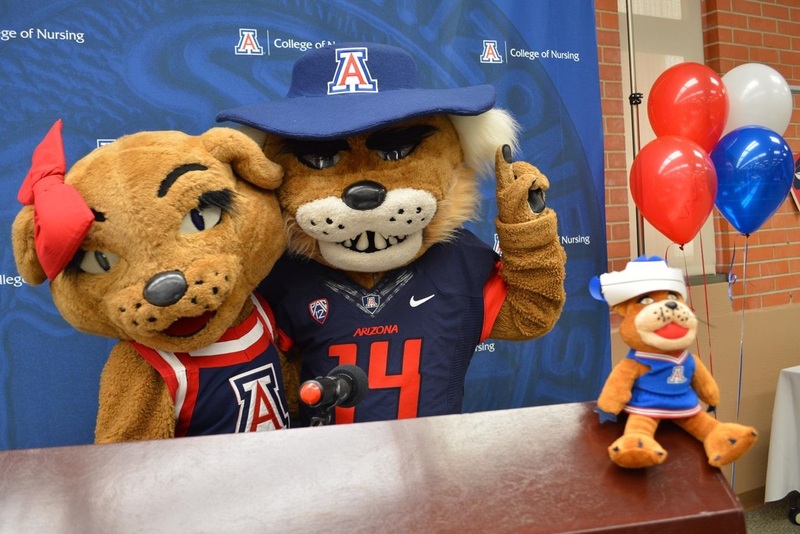 Get ready for the game with friends and classmates at the official Wildcat for Life Tailgate Party. Bring the whole family for great food for purchase, entertainment, Wildcat merchandise and more! Open to the public. Purchase tickets online at www.arizonawildcats.com. For a full listing of UA Homecoming events, visit the Alumni Association Homecoming webpage.